Was this Nikon's best camera? Photo DP Review. Farewell Nikon D700. You were one of the best digital cameras ever made. The D700, the full-frame DSLR Nikon launched way back in 2008, has just had its life support switched off, and the doctors have pulled the sheet over its face and closed the curtain around its bed. Four years isn’t bad in today’s world, and those wanting a non-top-end full-frame body can buy the D800, but that’s more about video and show-off (36MP) pixel-counts. Here, I’ll say it: the D700 was maybe the best photographers’ camera ever. 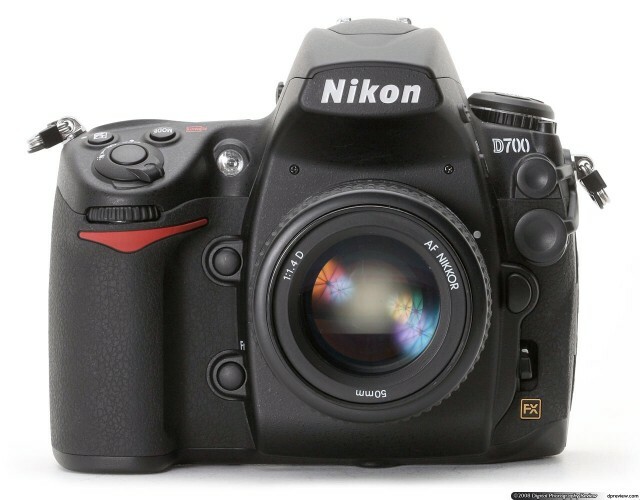 The D700, now disappeared from the Nikon DSLR page and de-listed at most retailers, was a 12MP camera with a full-frame sensor and a tough body. It was in essence a cut-down version of the then top-of-the-line D3, losing the bulky vertical grip and some speed in exchange for a lower price. But it shared that amazing sensor, which went up to a then-unknown ISO 6,400 (more in extended mode), and also brought one thing that the D3 didn’t have – a built-in flash. This flash was as useless for illuminating photos as any other in-camera flash. But it also allowed you to remote control Nikon’s own strobes wirelessly, and with full auto exposure control. The D3 required an expensive dongle to do the same. But forget about the features, and the lack of video (and the laughably clunky live-view). This camera was built to be used. Anyone who remembers the 35mm Nikon F100, launched in 1999, will be at home with the D700. The controls are all perfectly set out. The camera is almost infinitely tweak-able, and yet disappears in your hands when you use it. I owned both cameras and they took some of the best photos I have ever snapped. Not because of technological gimmickry (I used the F100 in manual most of the time) but because they became extensions of the photographer. The only other camera that ever came close was my Leica M6, and incredible beast. I sold my D700 recently after I realized I never use it anymore, and in order to get a decent price before the D800 was officially announced. But maybe I should have waited? The D800 is a great camera, but it isn’t anything like its predecessor. I have a feeling that D700 prices are going to go up, for a little while at least.